These beautiful full colour posters are the perfect way to help promote the Habits of Mind in your classroom. Download and print at school. Single or Site licences available. The Agile Learner unites three powerful ideas: Growth Mindset, Habits of Mind, and Virtuous Practice. In James Anderson’s latest book you’ll discover how to change your students’ mindsets by moving them along the Mindset Continuum. Importantly you’ll learn how to engage students in the process and Habits of Mind that achieve growth and the development of new talents. Beginning your work with Habits of Mind is easy. Knowing where the next steps are can be more challenging. This practical guide takes you beyond introducing the Habits of Mind, beyond the posters and the using the language, to deeply infusing the Habits of Mind into the curriculum and throughout your entire school. Discover how to focus on the development of the Habits of Mind. Learn practical strategies for getting others “onboard” with Habits of Mind. Lead the Habits of Mind in your school. After 15 years of working with schools around the world James Anderson compiles his three most important lessons for Success with Habits of Mind in this short e-book. If you’re interested in sustaining your work, and making a real difference to student learning and school culture with Habits of Mind, you’ll want to take advantage of these insights. James Anderson provides weekly teaching tips, insights and tools for you to use in your Habits of Mind classroom. 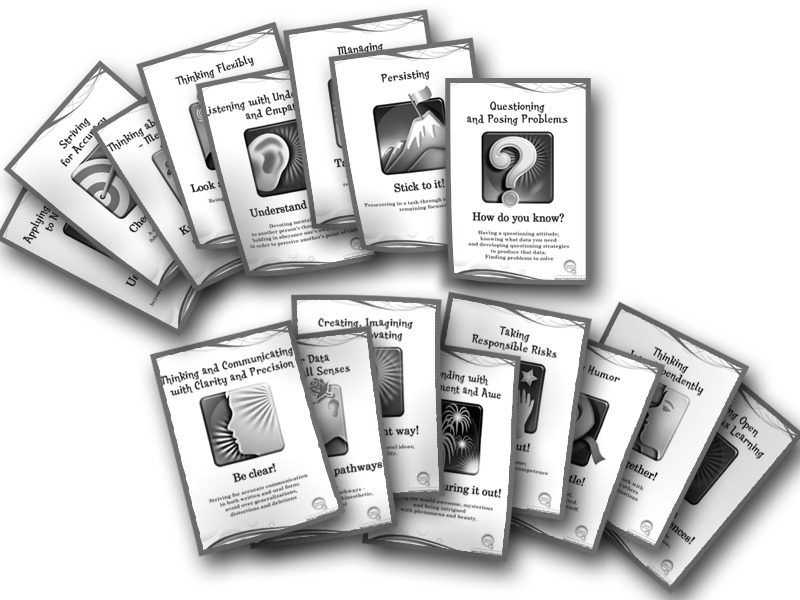 An essential free resource for all Habits of Mind teachers. James Anderson is the creator of this site, author of The Agile Learner and Succeeding with Habits of Mind as well as numerous other resources for teachers. A certified professional speaker he is a frequent presenter at conferences and learning expo’s around the world. Every Habits of Mind Classroom needs a set of posters. Download your free set of professionally designed Habits of Mind posters now. Ready to print and display in your classroom. If you’re new to the Habits of Mind start here to find all the free introductory information you’ll need. Good for teachers and parents alike, this page will link you to the resources you need. Are you looking to include the Habits of Mind in your classroom? Wanting to move beyond the introduction? This is the place for you to continue your Habits of Mind journey. Are you leading Habits of Mind in your school? If you want to know how to introduce the Habits of Mind to your team and how other schools have succeeded with Habits of Mind start here?